We are family-oriented people. Our goal is to treat every person walking into our restaurant not as a customer, but as family. We believe in maintaining a clean, safe and friendly environment and serving great-tasting, fresh food. 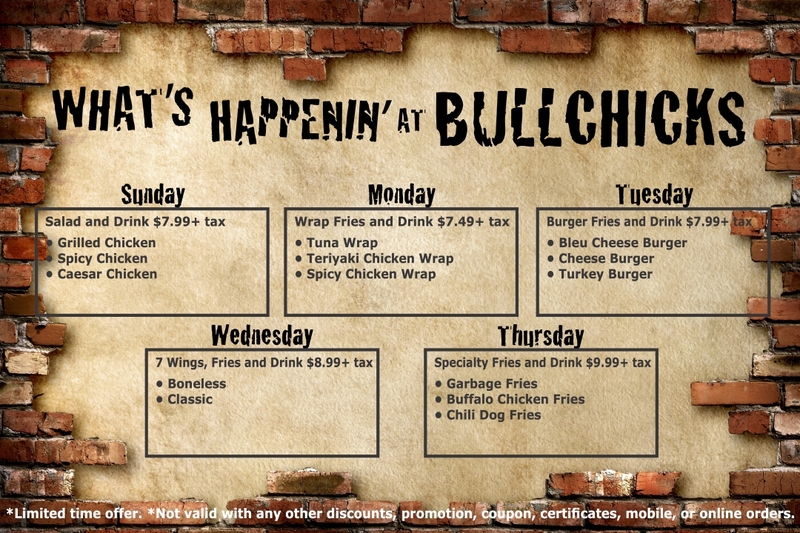 Stop by today and try us out, we look forward to having you join our BullChicks family!